As the end of June approaches many of you will head off to your very first summer ballet intensive program. With your suitcases packed have you left anything behind? You have surely packed enough leotards and pointe shoes to get you through the 3-6 weeks that you will be away from home. 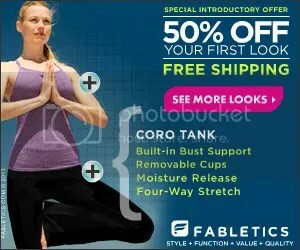 Have you forgotten the most important thing you will need for your summer intensive? The most common thing that dancers forget to do before leaving for a ballet summer intensive program is set goals. Why are you doing this summer intensive program? To improve, right? But what exact areas of your dancing are you looking to improve? Let’s face it, without setting goals what exactly will you get out of your summer intensive experience? Before you leave home (or even if you are in your first few weeks of the intensive) write down the following questions in your ballet journal. What do I feel that I most need to improve on this summer? This could be anything from pirouettes to technique. What have my teachers been encouraging me to improve on? This would be the corrections that you get in class or at the school year-end conference. Why did I choose this summer intensive? List the key reasons that you decided to go to this particular summer program. Anything from teaching staff to city. What do I most want to accomplish this summer at (fill in your summer intensive name) ? What is your ultimate goal in attending this particular summer program? Do you perhaps want to be asked to stay for this school’s year-round program? By answering these questions and looking them over every few days, you will stay on track at your summer program. I know it sounds kind of dorky but if you really want to become the best dancer you have to set goals and remind yourself of those goals consistently. Have fun and make friends but remember, you are there to dance! 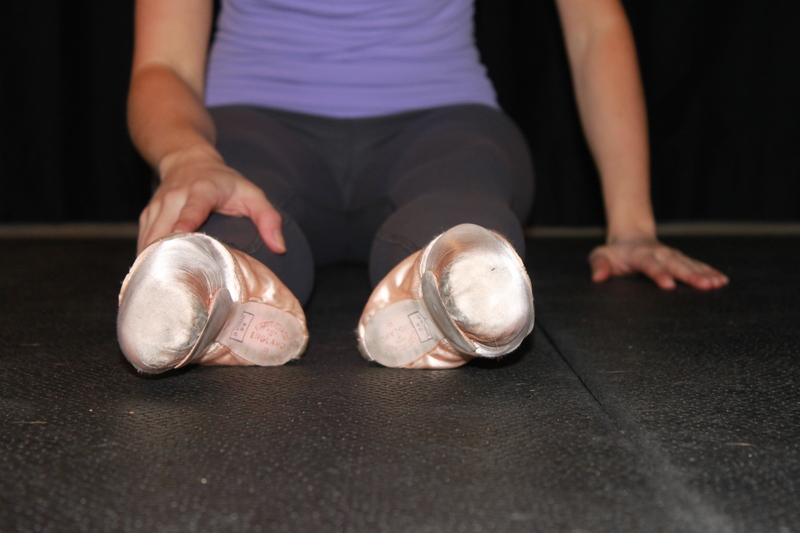 A beautifully pointed foot is the finishing touch to any dancers physique. Sure, not everyone can attain the extreme arches of Beckanne Sisk, but with the right exercises, you can achieve the best foot for your body. With all of the complicated foot stretchers and contraptions these days, it is hard to know what to trust or what really works. The good news is that you don’t have to spend a ton of money on a fad product to get beautiful ballet arches – there are simple exercises that you can do at home to get those fab feet! Exercise 1 – Flex and Pointe – This sounds simple, but I want you to try this exercise (video below) while lying on your back. This exercise will not only strengthen the arches of your feet, but also the muscles in the ankles and the calves. 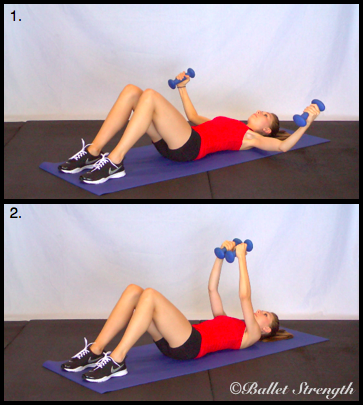 I recommend starting with 10 repetitions of each part, there are 4 parts to this exercise. Exercise 3 – Thera-band – While you may not have a thera-band lying around the house, they are not hard to find. You can get off brand versions at Walmart and sporting goods stores now. Give these basic exercises a go before class or as a cool down in the evening. Your pre-ballet class ritual should consist of a dynamic warm-up done in an effort to specifically turn-on and activate muscles through heightened neurological communication between the brain and muscle motor units. Stretching will not achieve this. Stretching should be done in an effort to recover and restore fatigued muscles after ballet class or performance. The goal of post class/ performance stretching would be to restore range of motion and/or to release tight muscle fibers to provide efficient blood flow which brings essential nutrients into the muscle to repair, restore, and recover. 1.) The Plank – hold this position for 30-60 seconds. Warms up the core muscles and really, the whole body. 2.) Hi Knee Marches – Do 20 or so of these to warm-up the hip flexors, glutes, hamstrings. 3.) Calf Raises- This is a great way to warm-up the feet, ankles and calves. Perform 15-20 of these along with some ankle rolls. If you are looking to maximize those splits or extension, work on your deep stretching after class from now on. Also, be sure to give a dynamic warm-up a try before class this week and notice the difference in the way your muscles feel during class. I’m looking forward to hearing your thoughts and experiences with this! So you want to improve your extension – your developes front, side and back – who doesnt!? In this blog I am going to go over the exercises that you should be doing to help your develope height tremendously. 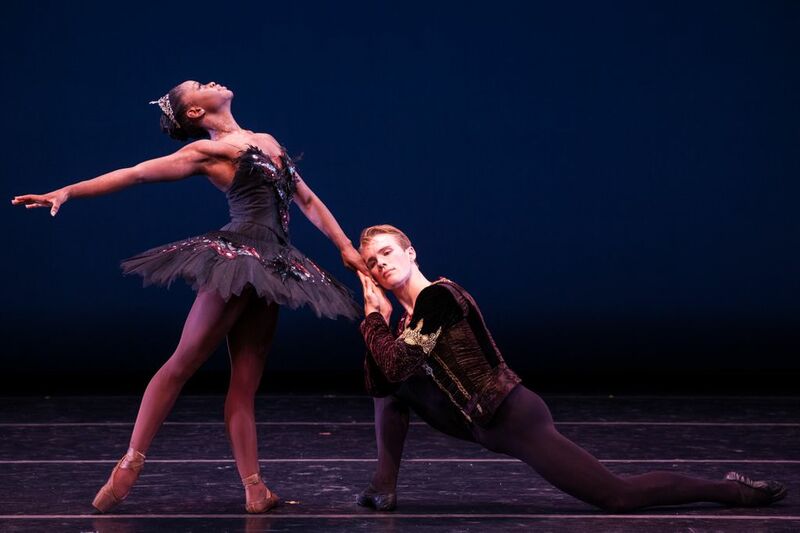 Extension and flexibility are two words that are pretty much synonymous in the ballet world but each has it’s own place in your ballet technique. The two compliment each other, however flexibility is not the sole reason that you cannot get your leg up…and hold it there. Strength (yes, there’s that word again) is usually the limiting factor. As dancers our hips take a real beating. From doing daily ballerina things like standing turned out, gripping in the thighs and quite frankly, not knowing how to properly engage our core muscles, we are already at a disadvantage. Gripping in the hips is the #1 reason why I see dancers struggle with their extension (also in turns and jumps too). So how can you undo years of damage and unlock your potential to a freely moving hip? #1 Breathe – Sounds simple, right? Wrong. Chances are, you don’t even realize that you are holding your breath. When we tense our muscles we are usually holding our breath at the same time creating even more tension to the muscles. Instead, try visualizing your hip as a sponge. Take your leg up to passe (think of a sponge full of water). Right before you develope the leg think of the hip relaxing and breathe. Then as you extend the leg, think of the sponge “wringing out” as you develope. Practice this and eventually you will be able to visualize this way in class. #3 Rebuild – Rather than showing you a bunch of ballet stretches and exercises that you already know and have tried (like the hike your hip up and hold exercise) I am going to give you an exercise that you can do to strengthen the gluteus medius muscle. First I will show you where the glute medius is located followed two exercises. “Monster Walks” and “Hip Abduction” which can help retrain the muscles around the hip pain and tightness that you feel from gripping. Monster Walks – Perform 3 sets of 15 repetitions each leg with a resistance band. 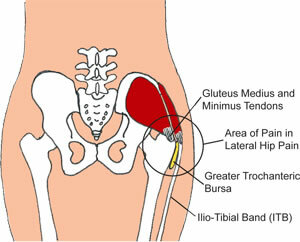 Hip Abduction – Perform 3 sets of 15-20 repetitions being sure to keep the leg parallel. I am looking forward to hearing how your extension improves just from these 3 quick tips. As always, please feel free to contact me with your questions and don’t forget to check out my great products that you can find exclusively at www.balletstrength.com.